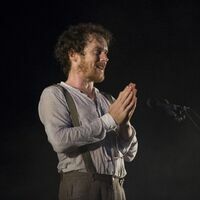 2014 Damien Rice under exclusive licence to Atlantic Records UK, a Warner Music Group company. 2006 Damien Rice, under exclusive license to Vector Recordings/Warner Bros. Records Inc. in the U.S. and Canada. 2004 Damien Rice, under exclusive license to Vector Recordings/Warner Bros. Records Inc. in the U.S. and Canada.